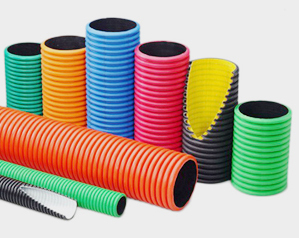 H.C.Jain Deliver TeleCable, OptiCable Double Wall Corrugated Ducts for underground cable protection and management. India needs to build world class infrastructure in Power and Electrification sector, Signalling and Telecommunication systems need to be upgraded to world standards. With deregulation in power and telecom sector, an enormous investments would be made in these sectors creating infrastructure by the private sector and public sector undertakings. The conventional methods of managing and protecting underground utility cables have undergone remarkable changes to achieve trouble free uninterrupted power, signaling and telecom network.